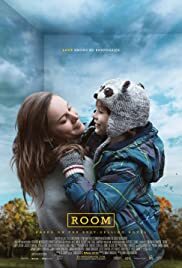 Here at fAABI, we had the delight of hosting another monthly Movie Night… Our guests had the opportunity to watch ‘Room’, a movie about 5-year-old Jack and his Ma, who have escaped from captivity in enclosed surroundings that Jack has known his entire life. Jack makes a thrilling discovery- the outside world. The audience witnesses first hand how Jack experiences all the joy, excitement, and fear that this new adventure brings, but we also see him holding tight to the one thing that matters most of all- his special bond with his loving and devoted Ma. If you would like to attend click the button below to let us know. I’d Like My Free Ticket!